It now looks like the much delayed Edinburgh Airport to city tram service will be officially in operation by May 2014. Saturday 28 September has been designated ‘Aviation Day’ at the Brooklands Museum. 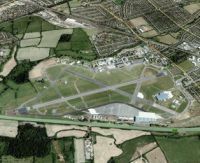 Already confirmed are aero engine runs, model flying displays, children’s activities and a number of visiting aircraft, the former runway on the airfield is being specially opened for the day. Amadeus and easyJet have announced the launch of a system of reservation enhancements that will allow travel agents around the world, in a phased approach, to book low-cost carriers with the same booking flow as that used for traditional carriers, regardless of the airline’s distribution preferences. Marriot has opened a Renaissance hotel in Izmir, Turkey’s third largest city. Once known as Smyrna, it sits in the gulf of the same name leading to the Aegean Sea and the Eastern Mediterranean. 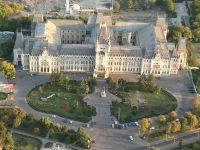 With a 4m population it is fast developing as a tourist and conference centre. BTN notes the passing of Ken Wallis MBE, at the age of 97, perhaps the last of a whole series of British aviation innovators who in the post war years included Barnes Wallis (Dam Buster bomb) and George Edwards (Vickers and Concorde). TAROM has realised the possibilities of much extra two-way traffic between the UK and Romania when EU passport barriers between the two countries come down on 1 January. We are concerned with the increased number of ‘bounce backs’ over the last few weeks including from some large organisations that have changed their email security arrangements. If you have subscribed to the BTNews email and it has not arrived on Monday morning please check with your IT department or Internet guru to ensure that newsletter@btnews.co.uk is not treated as spam and is on your approved list. You can subscribe at your private address, gratis. We only use the address for sending out the newsletter. The only fully nationalised airline in the British Isles, Aurigny of Guernsey, has a new CEO, Mark Darby. It is owned by the government of the island, which includes the islands of Alderney, Herm and Sark, called the States. 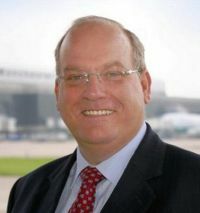 Geoff Muirhead, once Managing Director of Manchester Airport, has resigned from the Government Airport Commission headed by Sir Howard Davies “by mutual consent”. This leaves the advisory panel totally bereft of any commercial aviation expertise, now virtually totally comprised of academics and what the Department for Transport calls “The very best scientific and technical expertise available”, non-air transport consultants. 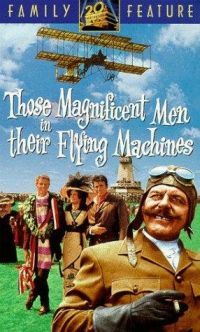 David Starkie of Case Associates seems to be the only member with any airline/airport experience. Mr Muirhead does not appear to be replaced. Boston is to be the latest United States destination for Emirates, a daily flight introduced from 10 March 2014. A three-class 266-seat Boeing 777-200LR will be used for the 13-hour service. Emirates has a partnership relationship with American carrier JetBlue, the largest operator into Boston’s Logan International Airport, which will considerably help with connecting traffic both ways. Two important new aircraft made their maiden flights last week, the Bombardier CSeries and Boeing 787-9. Whilst the Bombardier was a legitimate inaugural excursion it could be argued that the new Boeing was just a stretch of an existing aircraft, which it is, but Seattle would argue that it is a game changer and, unlike its smaller sibling, is on time and on budget. There seems to be progress with the concept of RAF Northolt as a short/medium term remedy for the crisis concerning the UK regions and their lack of air links into London, compounded by Flybe’s pullout from Gatwick. Clearly it is something that the Davies Commission will be looking at. For the second time in less than 12 months a major European airline has changed captains with the previous commander leaving an airline struggling with economic woes. Air France saw the departure of Jean-Cyril Spinetta in May of this year replaced by Alexandre de Juniac, and now Lufthansa. The German airline has confirmed Chief Executive Christoph Franz will step down when his contract expires at the end of May 2014. It has often been said that the attitude of airline staff reflect the stance of the most senior of persons at the carrier. BA had a certain arrogance about it when Lord King was in charge and the easygoing manner of easyJet’s Carolyn McCall is reflected by the way one is treated when flying with the ever-expanding operation. 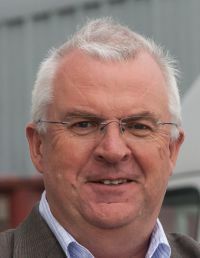 Ryanair’s much heralded press conference last Monday in conjunction with MAN (Manchester Airport Group) turned out to be something of a damp squib with the airline announcing a 10-year deal to base more aircraft at Stansted but no real specifics. 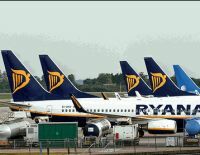 The airline says that it will grow its traffic at Stansted by over 50%, from 13.2m passengers in 2012 to over 20m in 2019. 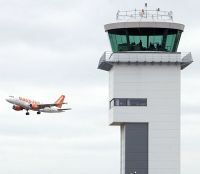 The UK Civil Aviation Authority is to be complimented on the speed in which they are now publishing airport statistics. Long gone are the paper reports that came out months after the time in question. The provisional August figures have already been published and show a true representation of how the airports, and in turn, the country is doing. A five-month-old baby boy has died after what appears to be a freak accident at Alicante airport. Whilst a detailed statement has not been issued it seems that mother and child flew into the airport last Wednesday (18 September) to meet up with her husband. Reports claim she placed the child inside a baby carrier on a stationary heavy baggage collection belt – which was activated by the weight, setting it in motion – and watched on in horror as he was whisked off. A Guardia Civil spokesman said: "We are still in the early stages of the investigation and looking at CCTV footage, but it seems that it was an accident. "The mother left the baby on the conveyor belt, which can be activated by detecting weight or by an airport employee. "It seems that the baby carrier's weight activated the belt and the child was trapped in the rollers in the drop zone". London City Airport (LCY) has submitted a planning application for permission to expand its current infrastructure to accommodate up to 120,000 flight movements (take offs and landings) per year, a level already permitted under an application granted in 2009. 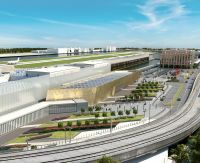 The proposals will also allow the airport to double its passenger numbers to 6m over the next 10 years, while continuing to attract inward investment into east London and acting as a catalyst for the regeneration of the area. No mention in the application of increased access possibilities if a Crossrail station were to be added locally. It does not seem that long ago (October 2001) that Embraer of Brazil unveiled what is now known as the ‘E-Jet’ with launch customer Crossair painted on one side. 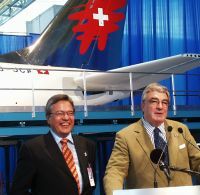 Crossair was soon to be swallowed up by Swissair, now SWISS. Based at São José dos Campos, north of Sao Paulo, Embraer has now delivered the 1,000th E-Jet production aircraft. The E175 was handed over to Republic Airlines, a subsidiary of Republic Airways Holdings Inc, which will operate the aircraft on behalf of American Eagle. Madrid now has a third Travelodge. 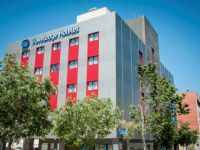 Travelodge Madrid Alcala is sited in the city’s Julian Camarillo commercial district, about 15 minutes from Barajas International Airport it is its sixth hotel in the country. In May Travelodge opened its largest hotel in the country – Barcelona Poblenou, a 250-room property (See BTN 20 May). Edinburgh is to be linked to Chicago for the first time next summer. United Airlines is to introduce non-stop daily services from 23 May until 6 October (with variations). Flight times will be 8hrs 35mins westbound and 7hrs 45mins eastbound.